ikat bag: Project Sighting: On-The-Go Bags and a Giveaway! Today, I am very excited to show you my bag in a new book! Many months ago (for that is how long it takes to make a book happen), one of the co-authors invited me to contribute a bag for their new book. Here it is on the back cover. Eeeeee! 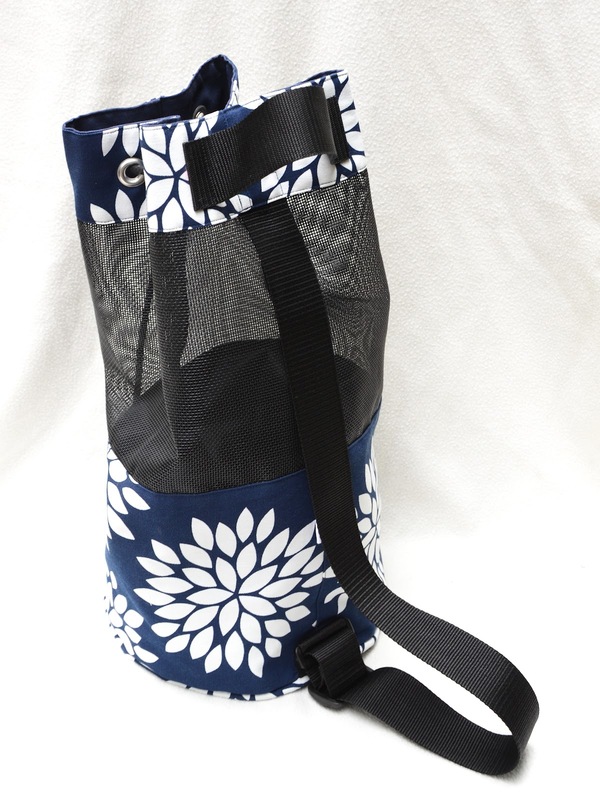 this is a breathable shoulder tote designed for gym visits and other athletic adventures. 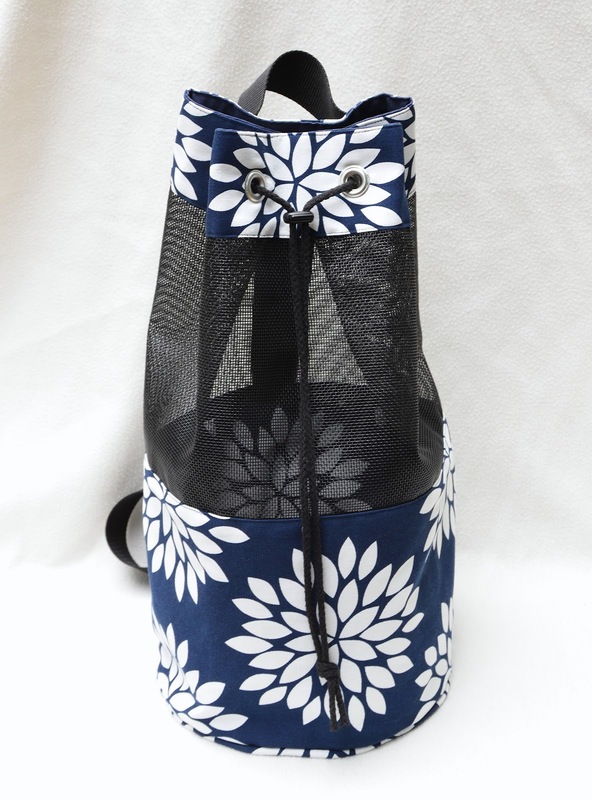 Unlike the soft mesh in the earlier swim bags, the mesh in this gym bag is a sturdy pet screening, so the bag stands upright like a regular tote, to hold stuff like yoga mats and towels and bottles and running shoes. The fabric itself is outdoor canvas, because this particular model wasn't meant for aquatic activities, but you can make it out of nylon or some other water-friendly fabric and turn it into a swim bag for flippers and snorkels and wet towels and such. 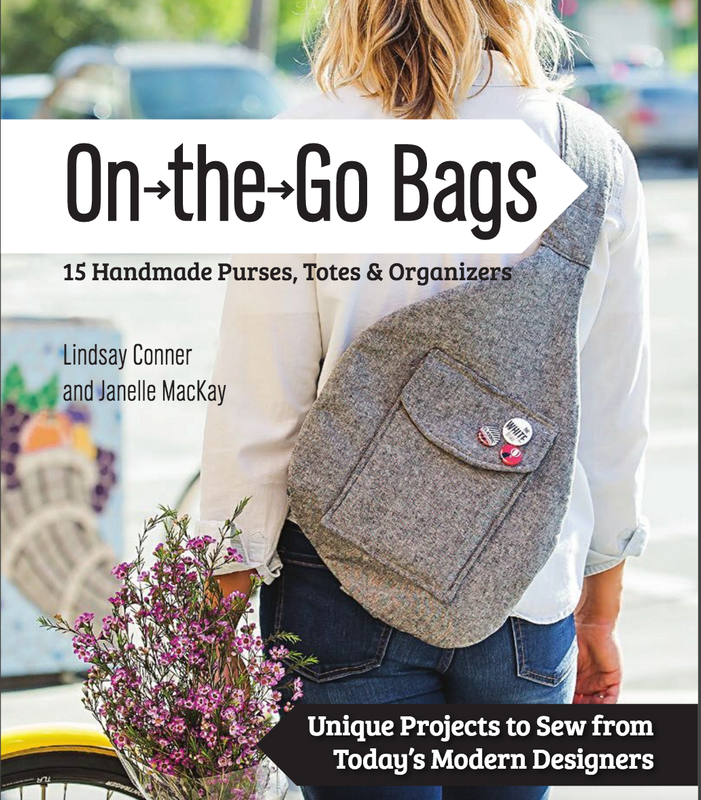 Now let's talk about the new book, On the Go Bags—15 Handmade Purses, Totes & Organizers by Lindsay Conner and Janelle MacKay (Stash Books). The book is available this month at CTPub.com and January 7th on Amazon, where you can already peruse quite a few of its preview pages. Unfortunately, I don't have a physical copy of it myself to photograph or do a full review of, but here is a short video of the book trailer. Where provided, the pattern templates are full-size and include seam allowances; other pieces not requiring templates are rectangles and other straightforward geometric shapes for which full dimensions are given in each project. Each instructional chapter contains detailed steps and clear and colorful illustrations, as well as photographs of the finished projects and parts thereof. 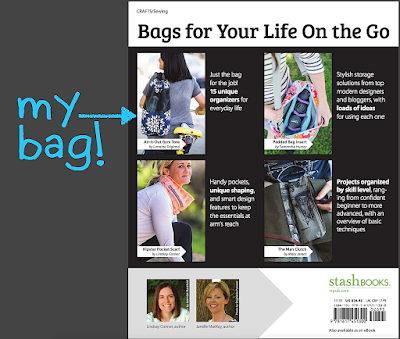 Stash Books is giving away one copy of On the Go Bags (RP: US$26.95) - U.S. winners will receive a hard copy and winners outside the U.S. will receive an e-book. No purchase is necessary to be eligible to enter. The giveaway ends at midnight EST of 15 Dec 2015, and I'll pick a winner by random-rafflecopter the next day, and let you guys know the results. I'll also contact the winner by email for their postal address; if I am unable to reach him/her after 48 hours, I will select a new winner. enter your information on the rafflecopter widget below. Cross body bags are my favorite - love to be hands-free! I've been sewing clothes recently but always go back to bags, especially for gifting! I make zippered pouches. Thanks for the chance to win! Zippy pouches are my go-to bags to sew. Can't have too many! I need cross body bags so I can be hands free with my 3 kids and also be able to throw my youngest on my back when needed. I love anything organizational and I love bags. This seems like the perfect combo for me. Leather backpacks are my fav'! Oh pet screen is a neat idea. I always get a bit nervous to try new materials but then I'm always excited after I make the plunge. Thanks for sharing! My favorite bag to make is a tote since it's so easy to add/take away features. My favorite bag to use is a cross body style. I love to make zip pouches but my favorite bag is a hobo type bag. Congrats on having your pattern published! I like tote bags with lots of pockets! I use cross body bags and totes a lot, since I often bring a needlework or knitting project with me. Though I sew, my daughter has been sewing for me (!) and she makes me zip pouches. I like any type of purse / satchel that involves plenty of pockets, a zippered top, and a long enough strap so that I can put it on one handed. Simple bags with at least one zipper pocket. No flaps allowed. Must have a shoulder strap, a flat bottom and open wide. Light weight but durable. Love cross-body bags, but I also use upscaled backpacks as a purse, especially when traveling! Would love to try making bigger bags . Definitely will help me learn from it. Thanks for the chance. I like tablet shoulder bag. I will be so happy and lucky to get this book. My favorite bag is a short & long "weenie dog" purse. Easy to find stuff, no dark deep depths to lose anything in :) :) Thanks for the chance. I like cute little purses. Congratulations LiEr. That's a very practical looking bag. My favourite bag to use is a tote with lots of pockets. It's the perfect mummy bag. I can fit everything in, and it all stays put. I love bags with lots of interior organisation. Bonus points if that is customizable! I love carrying my tote almost daily and will carry my crossbody when I am carrying fewer items and out for the night. My favorite bag is a cross body. I have this book on my christmas wish list. I like sewing aby type of bag. My everyday bag is a $1.00 rummage sale score NESS bag made of Harris Tweed. Small, Purple plaid. Stand up leather handles. Awesome job getting your bag into this book. I love crossbody bags. Hands free is great. I always go for either a cross body bag or backpack (a smaller, nice one replaces a handbag). I must have a phone pocket, and at least one more pocket for keys & coins. An outside pocket is a nice-to-have. Congratulation LiEr! The book loos awesome! I am very excited because I have been looking for a pattern like the one on the front cover for ages! Yay! So, there you have it, my favorite bag is a cross body one, because I like to have my hands free. Hi I love making totes and cosmetic or toiletry bags. Totes are so functional and make great gifts! I make a lot of grocery bags and make-up bags for people and of course beach bags. I like bags with lots of pockets and compartments to keep me organized. Crossbody purses are my favorite purse. My favorite kind to use is crossbody, to sew is bucket style. Congrats on the inclusion in this very practical looking book! hi LiEr, I love backpacks and shoulder bags with a lot of compartments. I LOVE this bag !! I always carry crossbodies, but this bag would great when traveling. I love bags in which I can find my keys in less than 1 min! I also like sturdy materials easy to clean. I love the cross body bags and the wristlets for everyday use, but the bags I make are tote bags. I tend to make large tote-style bags since I can add a ton of pockets to keep it organized. I want to make some backpacks and crossbody bags since my daughters prefer them. Love your tote! I love making bags that teach me new skills or use materials that challenge me in a new way...have to keep learning! Thanks for the give away. 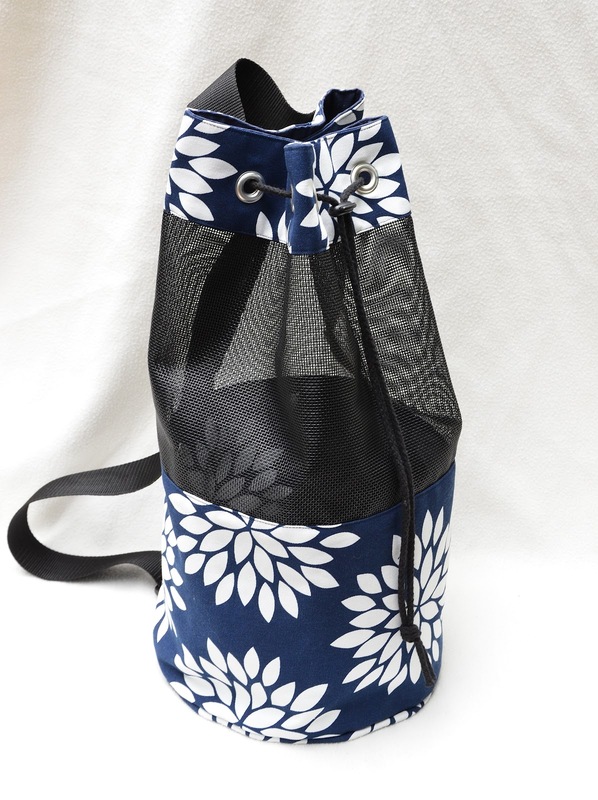 My favorite bags are utility bags; ones made for specific purposes such as camera bag or multipurpose with several section such as a gadget bag for cords and batteries or sewing supplies or travel items. I like crossbody bags that are small and have different compartments to organise my bits and bobs. My favourite bag is a cross body bag because I usually go out with one of my children and/or dog so I need my hands free. I like to make tote bags of all kind with inserted zipper pockets. I love cross-body messenger bags for carrying my laptop and roomy over-the-shoulder bags for everyday. I love a well organized cross body that doesn't look hand sewn or crafty! Tote bags or zipper pouches. Relatively easy to make and perfectly functional. I love making little zippered pouches. Great way to use scraps! I love messenger bags for carrying, and I like to sew all kinds of bags. Congratulations on the book!! I usually go for a cross body bag and now I may add the cowl with pocket. I do like your addition to the book. 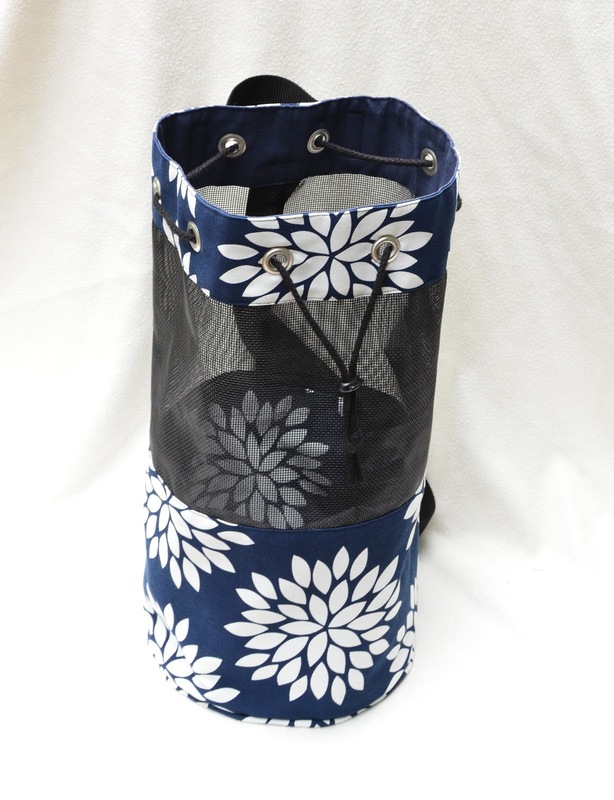 I have made a version of your earlier mesh bag for friends and family who live near the beach. Thank-you for this giveaway. I like all kinds of bags but I guess I will say for the sake of choosing....Hobo Bags. Have a great day! As much as I would love for my go-to bag to be beach worthy, for now, I have to go to my cross-body bags that will stay on over layers or winter padding. Brrrrr. I love backpacks or small bags. Love yours! My "go-to" pattern is a super large tote, called the Chubby Charmer. I like making zipper pouches too! I would like to make a soft "slouch" bag with a thin shoulder strap and organized storage inside.I found the bag years ago but everything sinks to the bottom.....so guess I will have to design and make it myself. Would love a copy of the book to get me started. Sounds like a great book! I love making totes for the beach. Thanks for the great post, LiEr! So happy you are a part of our book! I need my bag to be really big, to hold everything, have lots of zippers and compartments and have a shoulder strap. The type os bag I like the most is a tote with a zipper closure that can be worn cross body. I love to sew small travel bags with matching makeup cases. Also, my favorite to use. They keep my essentials handy when I travel for a family visit. And make great gifts. Pour moi un sac doit être pratique,beau,avec des rangements. J'ai commencer a coudre des modèles simple.J'aurais beaucoup de plaisir à coudre les modèles plus perfectionnés de ce nouveau livre . Félicitations pour votre blog j'aime beaucoup. I need a new purse. The book would help me to finally decide which style to make!! Thanks for breaking down what is inside, I like making over the shoulder bags, with at least one zipper pocket, for keys and cash. I love, love to make cross-body bags. I am a hands-free kind of girl. I love that cross-bodies don't slip off your shoulder. Thanks for the chance to win! I really like my foldover clutch I made about a year ago. I don't have a favorite style of bag. It all depends on what I need a bag for. For music, I like a bag that is sturdy with this with padded straps (music gets heavy) and large enough to hold an orchestral music folder. I prefer it to have a zipper closing to keep out rain. I really like to use sling packs best, though I haven't attempted to see any yet. I recently made an enormous bag that is meant to carry my laptop, camera, and other sundries... My favorite way to make a bag is to collect all the features I want and try to make them all fit together. I was super-proud of myself for combining my favorite features of my beloved, trusty diaper bag (well, as beloved as a diaper bag can really be...) with some features of camera bags I've long admired online into what I think is a really nice bag. I love cross-body bags! Love to keep my hands free when I am with my kids. I love my lined shoe bags that I make a dozen at a time! I just love bags! No favorites, but I tend to use a cross body time most often. Cross-body bags, tote bags, oh who am I kidding, I love all the bags! 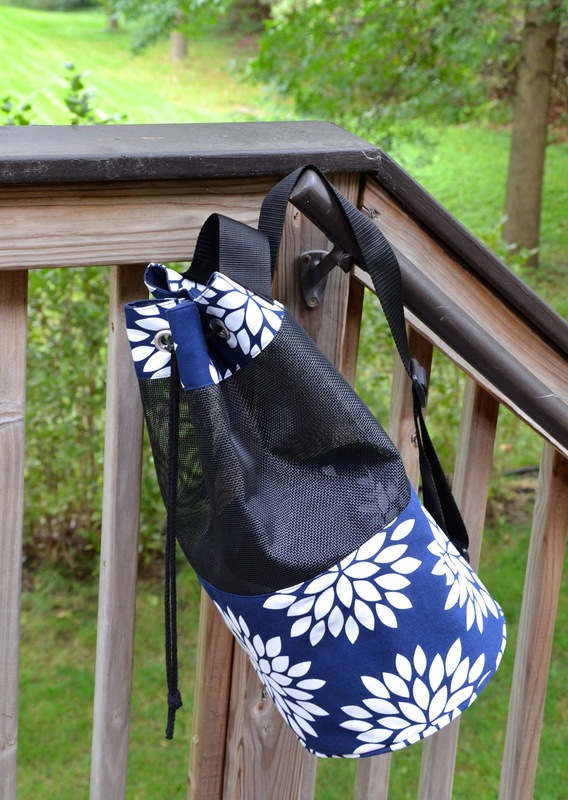 I always use backpacks, and haven't tried making bags before, but would like to give that a go...this seems like a great hand-holding help, and I'd love to make your pool bag! Would be great for avoiding stinkiness during summer camp. Thanks for the giveaway! I love making little zip bags and shoulder bags!! I love the tote! Thanks for the giveaway! I love cross body bags, hands free for when you have 3 kids. I am trying to design a messenger-type bag right now. I love cross body bags so that I have both hands free. My favorite bag is the tote!!! :) Not because it's the only bag style I have ever sewn :) but because it's so versatile and effortless! I especially love the slouchy ones with no zipper! A clasp is fine for me! It goes with everything I am. I love your blog Lier. You are a genius! I like trying to make yoga mat bags. I just started looking around for a bag to replace my very worn-out bag. 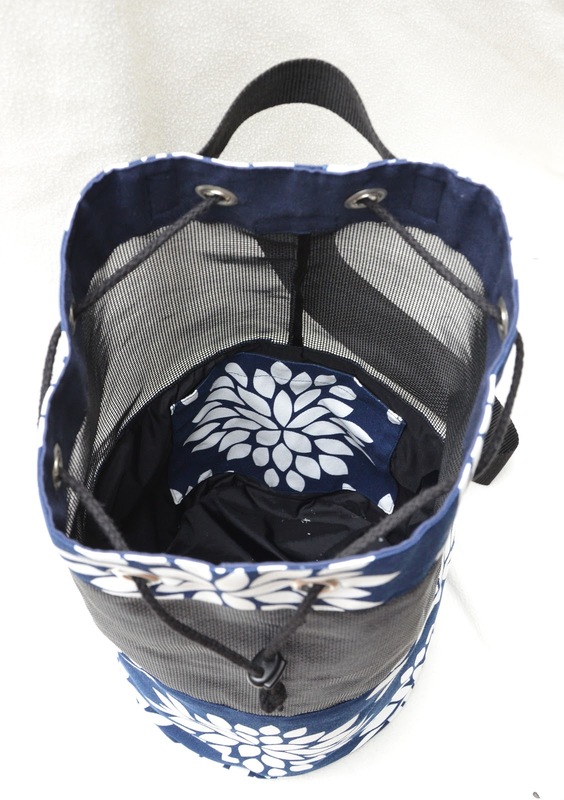 It's a large soft bag with a zipped top, 2 handles, and a long strap. It has 3 zippered pockets. I LOVE it. Might have to sew the replacement instead of buy! I prefer postman bags with many zipped pockets!! I love cross body bags! I really like large tote bags with plenty of pockets and dividers. I like a big shoulder bag! I like to use and make large tote bags! I tend to make and use tote bags but more because they're the quickest to make than because they're the best bags for what I need. I'd love to tackle something more complex - maybe a backpack style bag for some upcoming trips? I prefer backpacks or bags with a cross body strap so I can use my hands for something else. I like to sew project pouches for my knitting. My go-to-style is a cross-body with lots of pockets. I like to have my hands-free and to have everything organized. Enjoyed your blog. Loved your mesh bag. My newest favorite bag is one that holds my well-folded-over-a-form stash of fabrics! The cart and stroller caddy will be a great gift for elderly friends who use a walker, and I would love to offer some as a prize at the extended care residence where my hubby works. I know the book is something I'd love to have as I prepare for our planned move into a tiny house on wheels which will always be "on the go"! The projects are tailor made for me! The organizer will be just the ticket for our home's loft storage and for our vehicle as we travel and stay in our state and national parks. A smart backpack will be necessary as we hike the trails, too, and there is frequent shopping for groceries for a tiny tiny house, so totes are a necessity! And who among us doesn't love a new purse!My collection of practical bags will be an important part of our journey, as will my beloved sewing machine! My favorite style of bag is small, cross body with lots of pockets. I love the thought that you put into the materials you use. It seems like you always give first consideration to the function of the item,and then find materials and supplies suitable to it, rather than making bags from whatever cute fabric you find. You've really taught me to think of functionality first,and I really appreciate it! I love really big, roomy bags! I like crossbody bags. 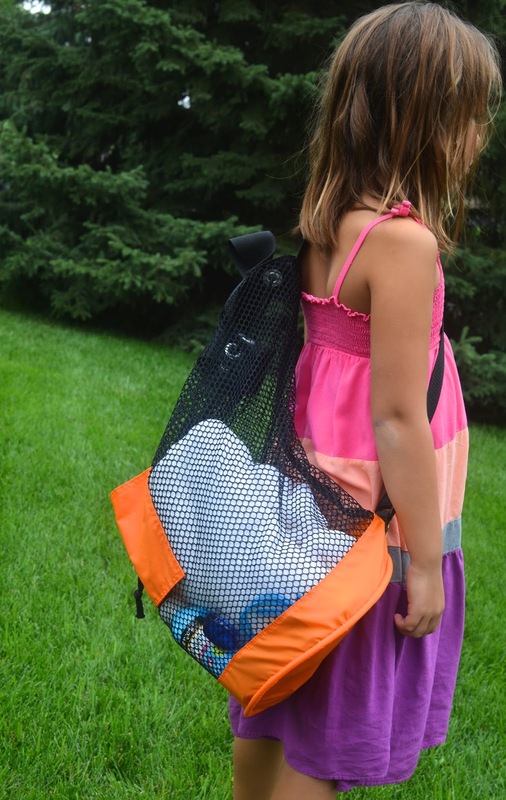 Love this swim bag too! Love this mesh bag. Very useful. I like crossbody bags. I love all types of bags. My least favorite are the giant ones that hang to my knees. I love the roominess but I am short and heavy so they make me so much wider and heavier-looking. A cross body bag with multiple pockets is my go to everytime I leave home. :) That way I have 2 hands free to shop or deal with my kids.